I’ve never considered myself to be much of a gadget person. I use the same cell phone until it gasps for mercy. My laptop is never the newest model, and I only retire it when it too, gasps for mercy. But lately, I’ve noticed that I have developed an absolute obsession with kitchen gadgets. It started with the ice cream maker, and now my most current purchase is the Panasonic SD-BMS 105T bread maker. To be honest, I’ve had a bias against bread machine bread for the longest time, because the loaves I’ve tasted have been brick-like, and have a mishmash of strange ingredients. I’ve eaten loaves that have both corn niblets AND raisins in them, or with goji berries AND sunflower seeds, and a handful of other unidentifiable seeds. (it’s never a good sign when the baker never tells you what’s in the bread before your first bite. If you ask, and they say “Guess!” with a glint in their eye, just put down the slice and run away) So I’ve never been that eager to jump on the bread machine bandwagon. 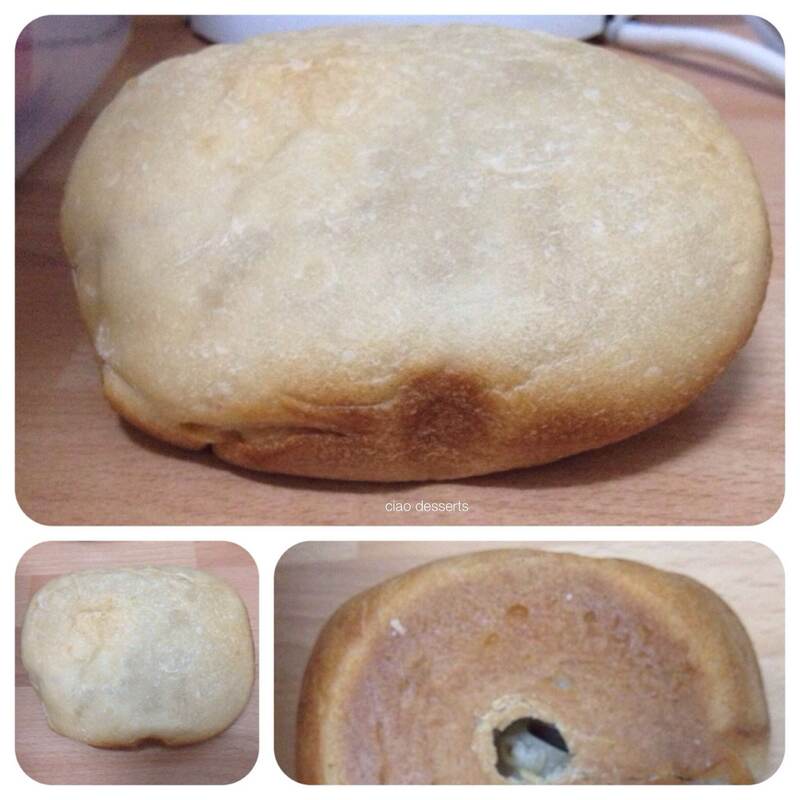 Until one fateful day, when a colleague brought in some bread from his brand new shiny bread machine. This bread! It had a light, cloud-like, tender texture, and a slightly chewy crust. Instead of a heavy floury taste, it was a delicate buttery aroma. 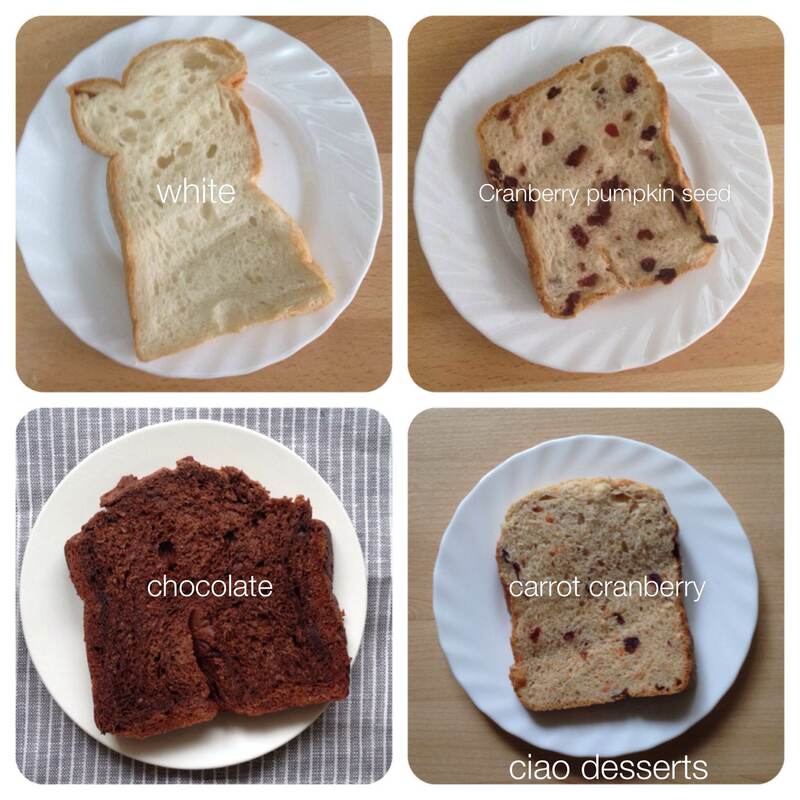 Similar to bread that you can buy in a Japanese style bakery, or in the same family as brioche. I thought to achieve this texture, it would involve a ton of butter, but it turns out that each loaf only requires just a smidgeon of butter (about 15 grams. 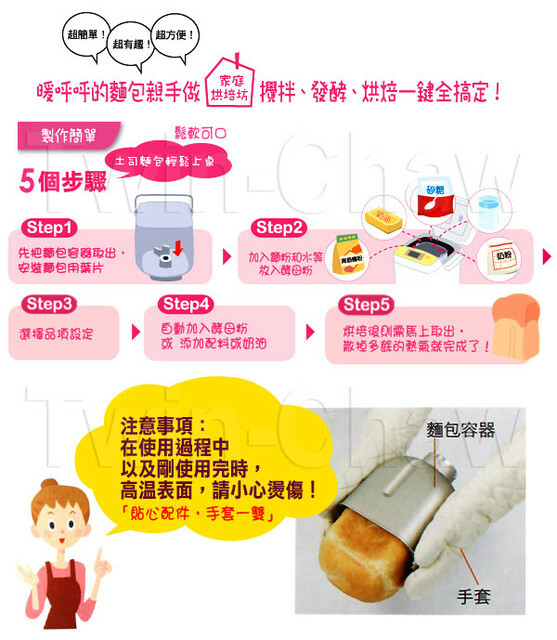 depending on the recipe you use) I struggled with the decision for a long time. But, but, I bake my own bread! I bake bread to relieve stress! How can I turn over such an important activity to a machine? But the temptation kept coming in… How can you not be tempted by a machine that makes 30 types of bread?! (and pasta! And bagels! And udon noodles! And mochi! AND CHEESECAKE!) With this machine, I would never have to leave the house again! I did some preliminary research about the product specifications and dimensions, and also read some reviews. I liked what I read, and the price seemed right, so one rainy afternoon, I went ahead and ordered it online at PC Home. And in the same burst of efficiency, I also ordered a 10 kilogram sack of flour at the same time. 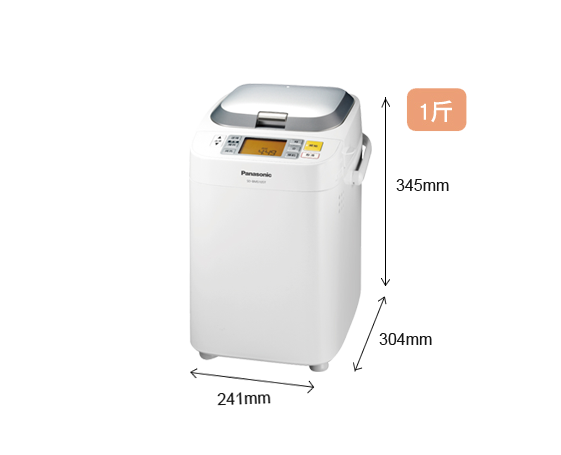 最近廚房多了一個新玩具： 就是 Panasonic 的麵包機！ 本來一直猶豫不決 怕烤出來的麵包不好吃。 但有一天同事帶了用這個麵包機烤的麵包來辦公室請大家吃， 我發覺這個機器烤出來的麵包跟外 bakery的麵包很接近！ 有一天下午就下定決心 在 PC Home 訂了這一台。（為了 reinforce 我的決心， 我也順道訂了一袋 十公斤的麵粉）。 Usually I roll my eyes at the instruction manual that comes with the machine, because I know there’s an English version online. But no such luck with this model! I searched far and wide, (well, in cyberspace) and there is not an English manual. (if you find one, please let me know) So I had to gather my rudimentary Chinese reading skills and navigate the spaceship alone. This page in the instructional manual was extremely daunting. Fortunately, there were some step-by-step photos that I could kind of, sort of read. And the best part of the whole process is, at the end, there will be a steamy hot, fresh from the “oven” loaf of bread just waiting to be slathered with butter and honey. 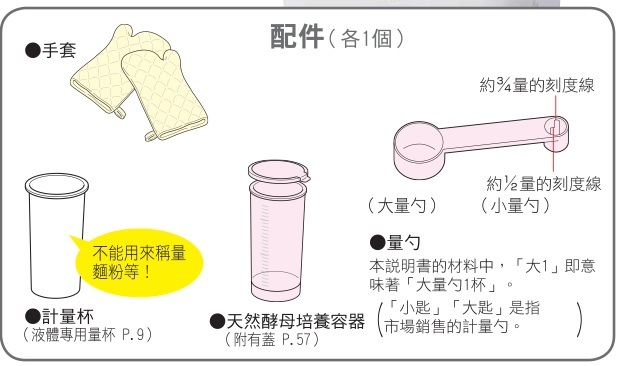 The machine also came with some accessories; such as oven mitts, 2 types of measuring cups and a measuring spoon. Initially, I was really confused by the pink measuring spoon. Some of the recipes call for half of the small teaspoon, and that line is extremely hard to see. 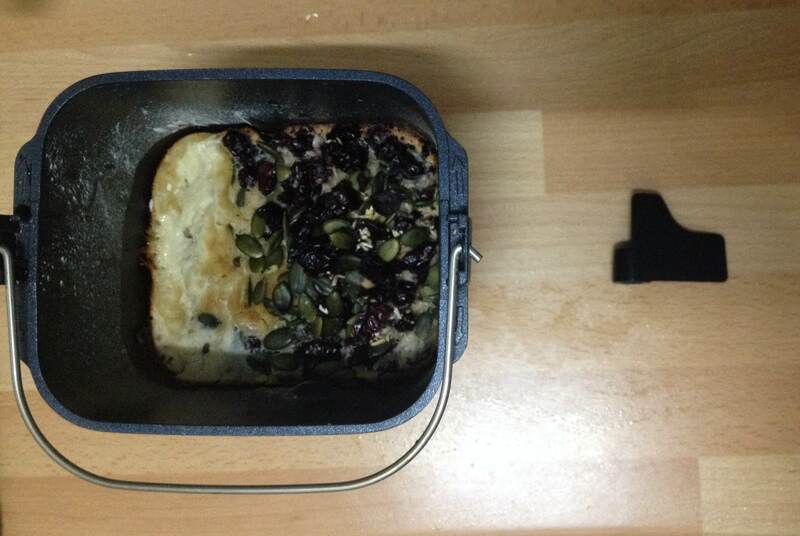 Here is a photo of the bread machine in action! 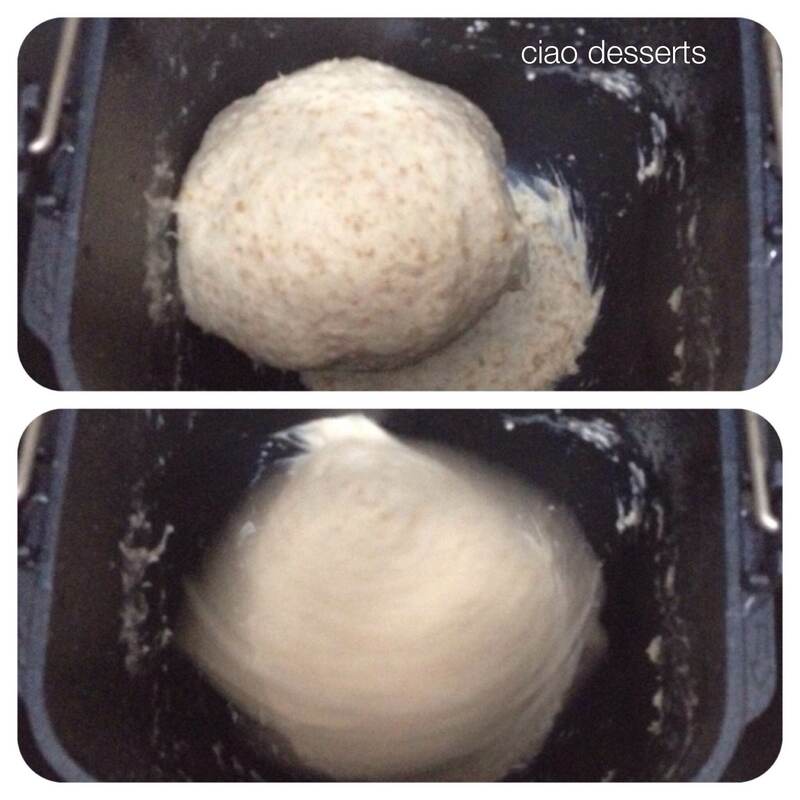 It’s pretty amazing to watch all these ingredients be whizzed together into one neat ball of dough. (The instruction manual strictly warns against lifting the lid while the machine is in use, but I couldn’t a resist a couple quick peeks! Don’t try this at home…this is what happens when you forget to put the mixing blade in! Naturally, the ingredients didn’t mix, and I was greeted with a batch of very thoroughly heated flour, yeast, butter, craisins and pumpkin seeds. Yuck. Another more recent mishap was also due to human error. Can you guess what happened here? I forgot to add in the yeast, so I ended up with a hard lump of solid dough. Ooops again. If I ever need bricks, this is one way of producing them. That loaf of “bread” was hefty enough to build houses. You would think all this bread making would stave off my desire for more machines… but now after making my own French toast a few times, I feel the need to expand my breakfast menu repertoire…. I think I now need a waffle maker… Look at this awesome one from Breville. Enjoy! 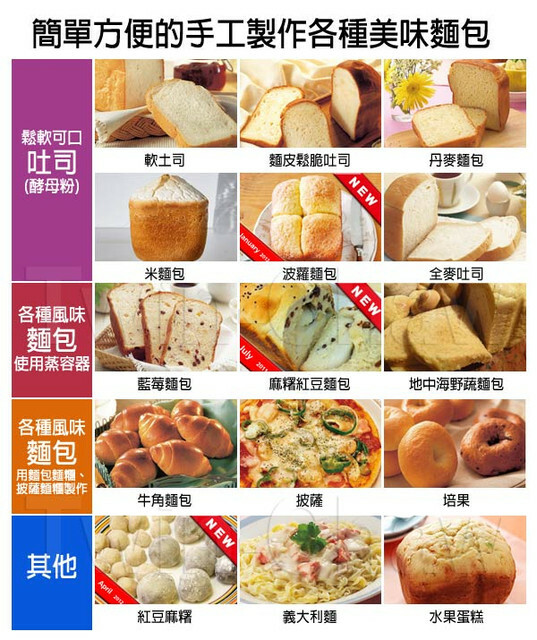 UPDATE: I’ve included some English translations for the basic bread recipe here! Thank you so much for the manual and the review! Going to buy the machine from Taiwana and all the Chinese recipes was starting to worry me. Now I’m really looking forward to using the machine. Super looking forward to the English recipes. Just received my bread machine!!! E-mail sent! My parents just brought it back to the U.S. this week so I’m excited to (let them) try it out and enjoy the results 😛 Can’t wait to see a post of you trying some of the other modes!